For the 4th time fellow whisky maniacs will gather to enjoy their favourite dram. The gathering will take place on the 19th and 20th of October 2019 in Rotterdam, Netherlands. Learn about the world of whisky and experience this unique event. With over 2000 whiskies to choose from starting at €1 per dram, ranging from the early 1900’s to recent or even unreleased whiskies. 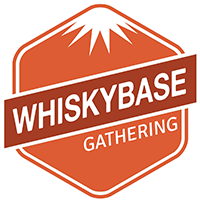 Join us and meet fellow Whiskybase members. Share your passion for whisky during this unique event. At the Gathering drams are bought in measures of 20ml or multiples thereof using tokens. Your ticket includes 5 tokens and when you run out, you can buy more tokens using cash, credit or debit card. If you spend tokens, change will be paid in tokens. You will receive a free tasting glass at the event which you can keep after the Gathering as a memento of the event. Drams will vary in price depending on the value of the bottle, and may cost from a €1 up to more than €100 for truly stellar, one-of-a-kind antique malts. Our exhibitors will be offering a wide selection of drams at different price levels. Selected exhibitors with exquisite collections will participate in this years Gathering. Some of them rarely seen at shows but with impressive collections. Next to a various selection of collectors we invited some very reputable independent bottlers like Whisky-Fassle, Maltbarn, Archives, Claxtons and many more. Getting curious now? Or just looking forward in joining us again in 2019?